In a unique spot, the small bay of Ammoudi, you will enjoy the warm hospitality and the delicacies of the tavern “Dimitris- Ammoudi” established in 1989. In this dreamy corner on the extreme, north part of Santorini, below the famous village of Oia, nestled in the imposing red rock, the tavern “Dimitris-Amoudi” prepares fish and sea food dishes inspired by the mediterranean cuisine to accompany ouzo, beer or the famous Santorini wine. 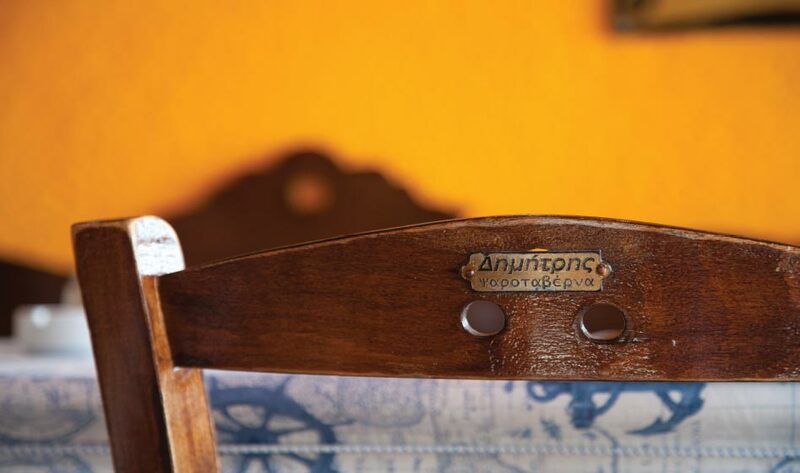 The relaxing atmosphere, the naval decoration details and the view to the sea and the sunset make your stop at the tavern Dimitris- Ammoudi enjoyable and delightful. 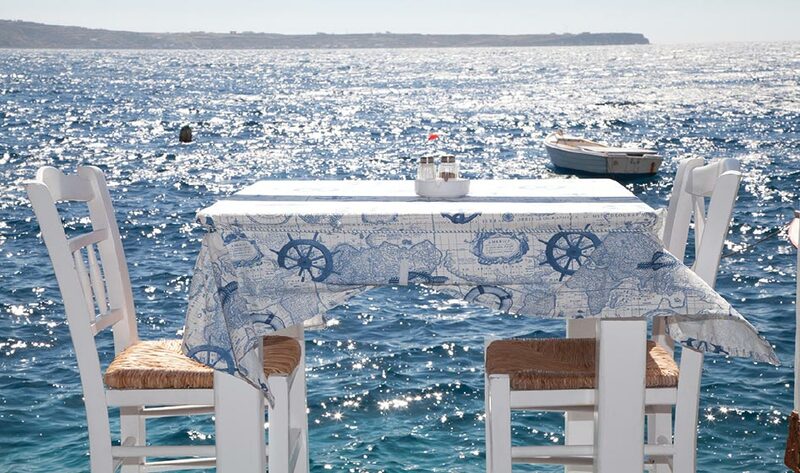 Pick your table and enjoy a wonderful summer meal in the most beautiful corner of Santorini. 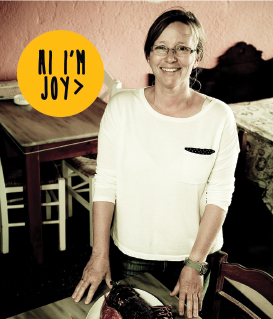 Dimitris and Joy, the couple that are the owners of the restaurant, decided in 1989 to open this taverna at the bay of Ammoudi. The small, abandoned warehouse, where locals used to store the boats, was transformed into a genuine taverna with a beautiful view. More than twenty years later few things have changed. The love and passion for the fresh seafood, the Greek and Mediterranean cuisine remain the same and are shared with the visitors of Oia and Santorini. 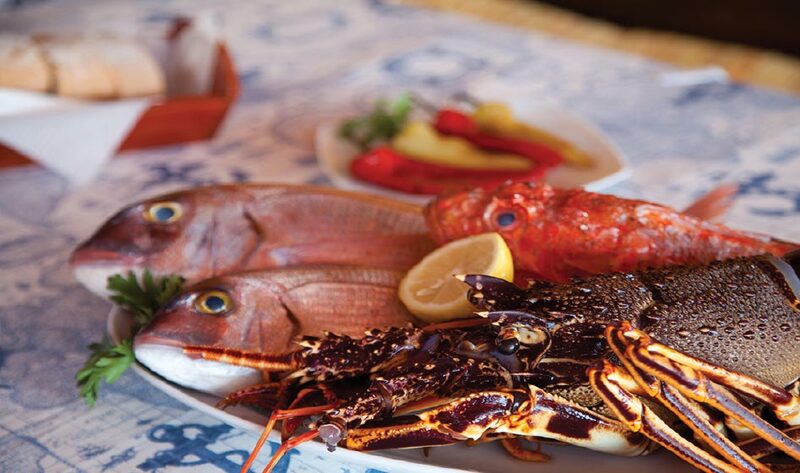 At “Dimitris- Ammoudi” tavern in Oia, Santorini you will enjoy fresh seafood that arrives daily at our kitchen. 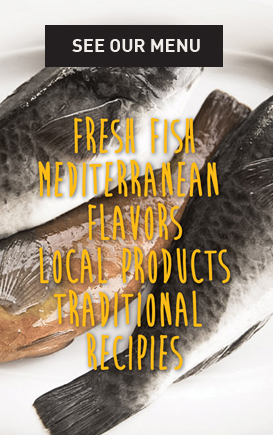 We are working with the same local fishermen for more than 20 years, so the quality of our ingredients remains the same as it was on our first year of operation. 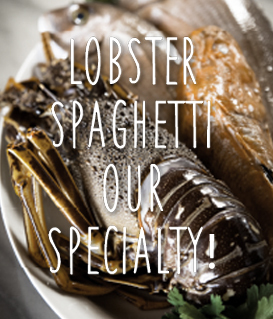 The seafood delicacies such us the delicious lobster spaghetti and a range of fresh fish, like sea bream or the scorpion fish cooked with garlic in baking paper along with the local specialties such as the fava, the juicy tomato balls, the salads are prepared and cooked with maximum care using ingredients picked daily from the local market. Your gastronomic trip to the Mediterranean cuisine starts from this small bay in Santorini at “Dimitris- Ammoudi” tavern. 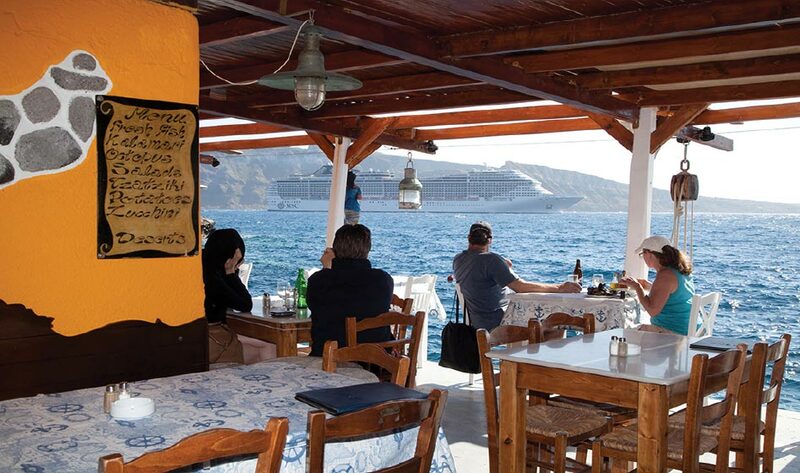 Fresh seafood and Greek tastes in a waterfront tavern in Oia for a unforgettable meal in Santorini.